Amazing view and these colours are just so, so soft. They as so close tonally that they almost just blend together. This is a hugely relaxing palette, really dreamy then brought to life by the amazing pop of royal blue. Here is your opportunity to introduce rich dark royal blue into your interior, represented here by a sumptuous velvet sofa in our living room palette. We were dying for an opportunity to use Irish Designer, Aoife Mullane’s fabrics and this is it: beautiful rose gold metallic’s, pinks and blues. 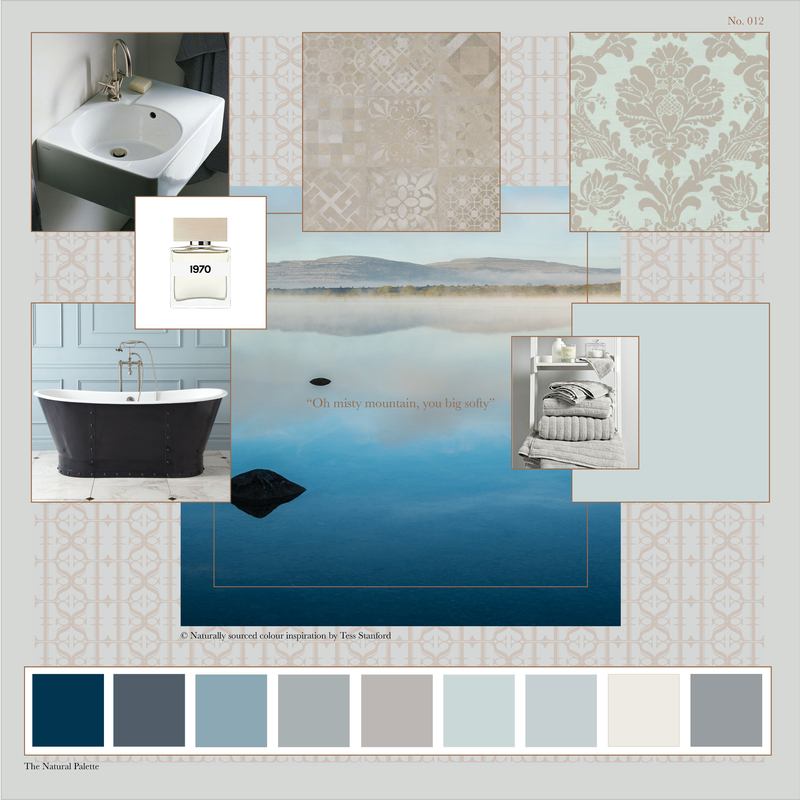 The cooler blues, greens and greys then offer a spa like sanctuary feel to the bathroom palette. The hero of the room is the Brayden Bateau Cast Iron Skirted Bathtub, which could also act as your feature in royal blue. 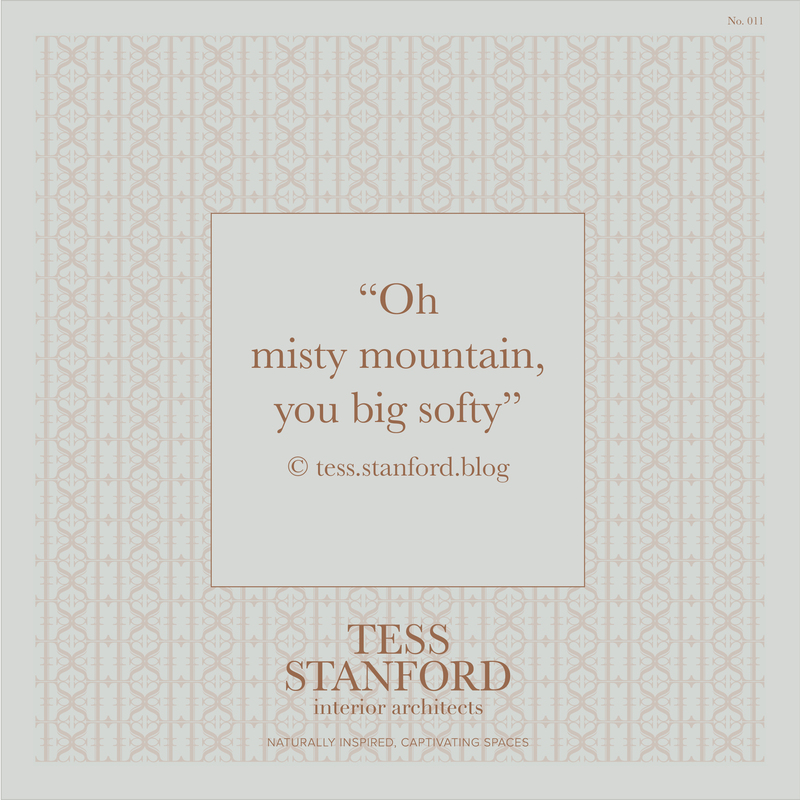 This is a soft, relaxing, cool, calming, natural palette. 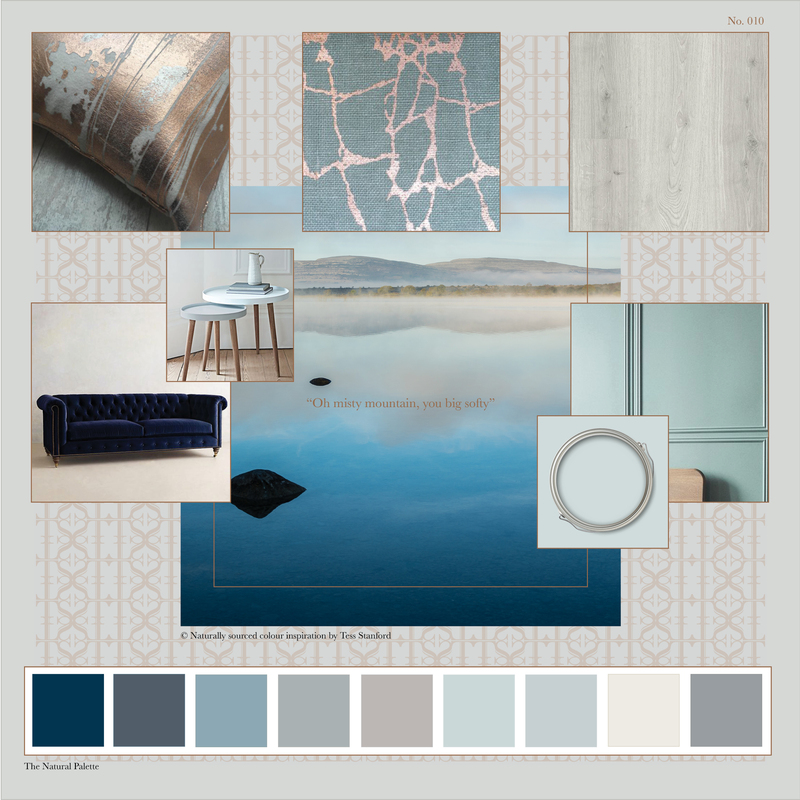 Aoife Mullane Design – Cushions, Ragno – Woodpassion collection, Anthropologie – Velvet Lyre chesterfield Sofa Wilcox, Cox & Cox – Lina Side Tables, Farrow & Ball – Parma Gray Paint. Duravit Sink, Ragno studio Decoro Cementine tile, Farrow & Ball Wallpaper –Orangerie, Signature Hardware – Brayden Bateau Cast Iron Skirted Bathtub, Bella Freud – Eau De Parfum, Farrow & Ball – Parma Gray Paint.